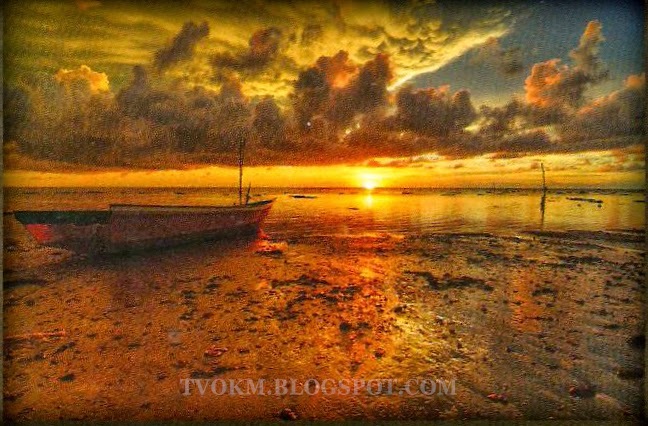 Home » journey-travel , local , travel » 20 Best Places Of Interest In Labuan - Feel The Excitement! 20 Best Places Of Interest In Labuan - Feel The Excitement! The name “LABUAN” derived from the Brunei Malay word “Labuhan” which means Anchorage. 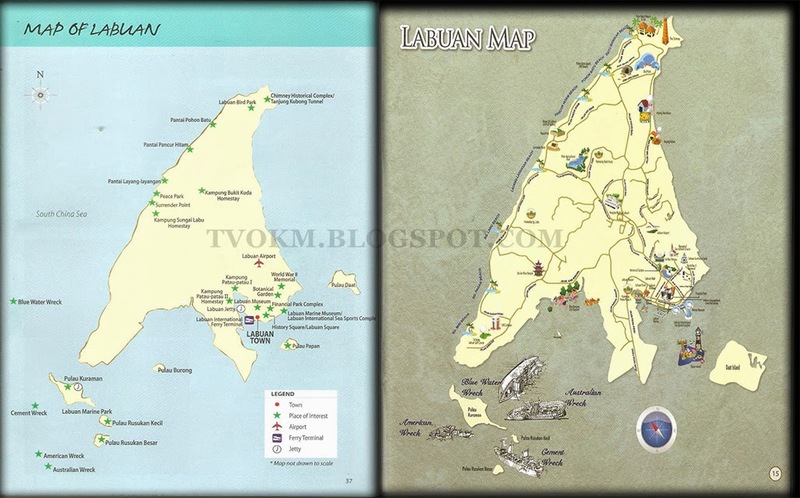 Labuan was declared as a duty free port on 1st September 1956 under the Custom Ordinance (Amendment No.2) in 1956. Labuan become the second Federal Territory of Malaysia on 16th April 1984 and pronounced as the International Offshore Financial Centre on 1st October 1990. The island covering an land area of 95 square km and total area 358.2 square km. The Population based on the recent census, there are about 91,410 residents in Labuan with the highest ethnic composition of 55.5% which include Malay and the Borneo indegenious. In terms of tourism, there are some interesting places for tourists such as Peace Park, Un’08 Beaches, Marine Parks, Kina Benuwa, Surrender Point, Labuan Museum, History Square, Marine Museum, World War ll Memorial, Botanical Garden, Bird Park, and The Chimney. For the places of recreations is at Labuan International Golf Club, Lawn Ball Arena, Marina and Labuan International Sea Sport Complex. Visitors can also stay in a homestay in Patau-Patau ll Water Village, Bukit Kuda and Sungai Labu. Getting there by Air. It is easily accessible from Kuala Lumpur International Airport (KLIA), from Kota Kinabalu International Airport (KKIA) and Miri Airport in Sarawak. Labuan is served by Malaysia Airlines, Mas Wings as well as AirAsia. Getting there by SEA. The Labuan International Ferry Terminal accept the ferries from Sabah, Sarawak and Brunei. The Journey from Kota Kinabalu takes about 3 hours. From Sarawak (Lawas, Limbang) about 2 hours. From Brunei Darussalam only one hour. Visitors from Sabah can board the ferry (capable of accommodating vehicles) at the Menumbok Jetty. Walking around Labuan is easy. The road network is very good at connecting the Labuan's main town with other parts of the island. It just takes about 1 hours to go around the island by road. Taxis and chartered limousines are the popular modes of transport. Alternatively, a 24-hour taxi service available. Car rental for self-drives can be arranged. Built by the Japanese, The Peace Park lays tribute to those who sacrificed their lives in Borneo during WWll. It is also a momento of friendship between Japan and Malaysia and a promise of peace and harmony for all mankind that such horrors will not happen again in the future. Enjoy the sunset at the famous Batu Manikar Beach (Sg.Miri Beach). It is a spectacularly 9 km stretch of beach lined with casuarinas and coconut trees, shaded naturally by the many trees. It's perfect for health buffs to exercise out there with the breeze, fresh air and fantastic scenery. The Beach won the COBSEA CLEAN BEACH Award 2008 from the United Nations Enviroent Program. 5km off the southwestern tip of Labuan, lies the islets of Kuraman, Small Rusukan and Big Rusukan. It is famous for the four wreck diving sites, namely the Blue Water, Australian, American, and Cement wrecks. Charming reefs, white sandy beaches and serene bays make it a great spot for sun-seekers. Visitors are required to adhere to the marine park regulations at all times. Activities that are permitted included scuba diving, snorkelling, sailing, conoeing and jungle trekking. Visitors are strictly prohibited from docked, damage the reefs and corals. The Kina Benuwa Eco-Tourism is a pristine mangrove forest located on the lower Kina Benuwa river stretching over 97,604 hectares. It inhabits the southern end of Labuan. This is a conversation area dedicated to the protection of the fragile eco-system and its rich biodiversity. Housed in a pre-war colonial styled building, this museum chronicles the history of Labuan, beginning from World War ll, to the British colonial days, to its declaration as a federal territory. Other fascinating displays include Labuan's socio-cultural landscape and Information about the local communities. History Square, where the four Flame of the Forest trees stand on all four corners of the square. The trees were planted by the Malay, Chinese, India and European communities in 1953 to mark the coronation of Queen Elizabeth ll. 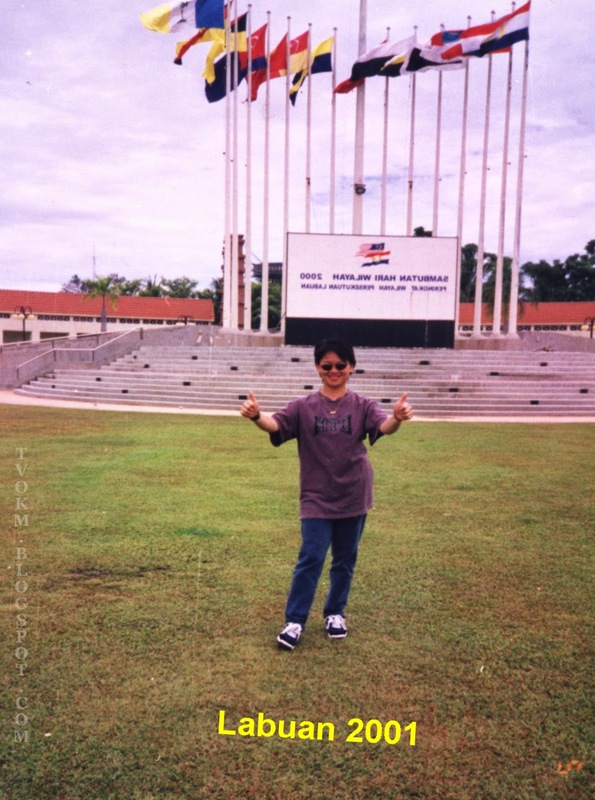 There are also a variety of plaques in the History Square to commemorate Labuan's most important events throughout history, such as the 1846 handover of Labuan from the Brunei Sultanate to the British; the change of name for Labuan to Maldashima during the Japanese ruling in 1943; the memorial for General Maida, who perished in an air crash in 1943; and the landing of the Australian 9th Division in Labuan in June 1945, marking the start of the Borneo island liberation. 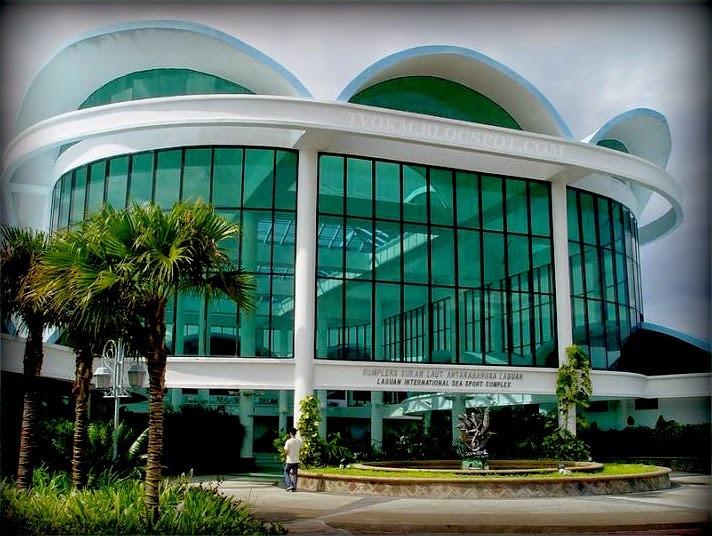 This museum features 16 galleries that showcase the marine heritage around the waters of labuan. Highlights include artefacts from shipwrecks, live and preserved zooplanktons, snails, molluscs, fish, corals, reptiles and aquatic plants. An interesting experience awaits you at the Touch pool, where visitors will get a chance to touch and feel marine inhabitants such as starfish and sea cucumbers. 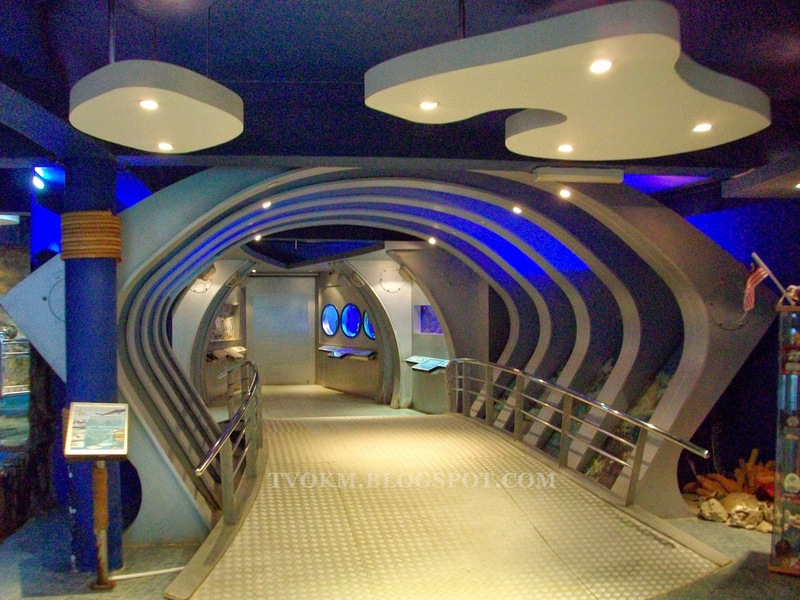 This museum is part of the Labuan International Sea Sports Complex. 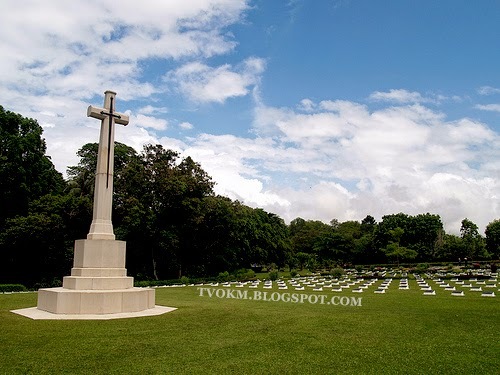 The largest memorial in Malaysia, Labuan World War ll Memorial is the final resting place of 3,908 war heroes from Australia, New Zealand, Britain, India, as well as Malaya. It is visited regularly by families and war veterans. Every year an formal ceremony called remembrance Day is held on 11 November or the Sunday closest to it, in full military tradition to honour the soldiers who lost their lives during World War ll and those who perished during the Death March from Ranau to Sandakan. Papan Island is a beloved weekend getaway for the locals and tourists alike. The island has amenities such as BBQ area, sports grounds, campsites, a surau, chalets, sepak takraw courts and volleyball. For the more adventurous, you can even try their hand at jungle trekking. 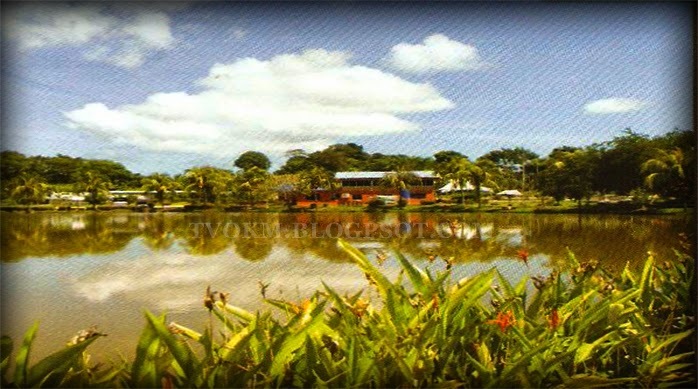 Labuan Botanical Garden is a recreational park with picturesque landscaping. It is home to one of the most expensive urban forest tree in Malaysia, Pulai Pasong (Alstonia pneumatophora) worth RM 1.5 millions. 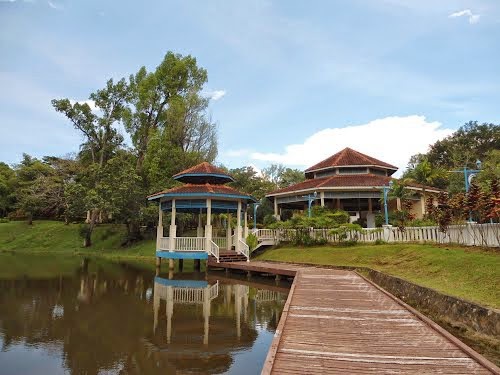 It also features a reflexology pathway, a herbal garden with a variety of herbs and spices, a hibiscus garden of different species, a reading corner, a manmade lake with an arched bridge, a tai chi ground and many more. Sir Hugh Low, the British Chief Secretary of Labuan at the time, is awarded to the creation of the garden. Many interesting tales are associated with this garden and the Government House that once stood here. Labuan Bird Park is a bird sanctuary swathed by lush green tropical rainforest with a rich bio-diverse habitat of insects, flora and fauna. Over 580 birds are kept in three large geodesic domes connected via four tunnels. Here, the birds can roam freely in their natural settings, and allows visitors to get close to them. It situated at the Chimney Historical Complex. 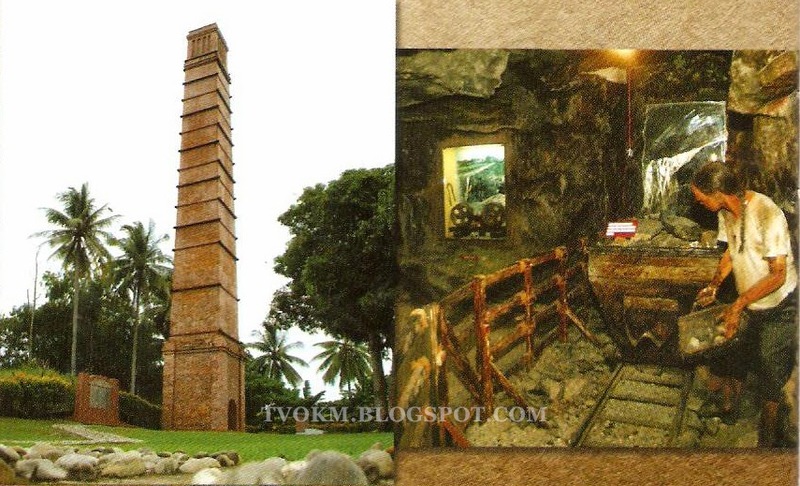 This 106 feet high red brick stack, known to locals The Chimney, is an artifact from Labuan's coal mining era (1847-1912). It is believed to have been built during the time when Labuan was used as a coaling station for ships sailing in the Far East area and the mined coal was transported by single rail track to Victoria Port. Green Apple Awards 2013 (Archelogical Heritage Category) Entitles Labuan as the Green World Ambassador 2014. Kampung Sungai Labu is lined by a beautiful stretch of beach cove and its unique village houses are adorned by enchanting curtain-laced windows. They make up about half of Labuan's Muslim population and are renowned for their delicious homemade Kuih Bahulu (little spongy cakes) and Kuih Cincin (Ring Biscuits). No trip to Labuan would be complete without a trip to Patau-patau ll. These homes are built on stilts above the water and can be quite big. Most homes have airy, cooling verandahs that are decorated with potted plants and flowers. The villages are established by Malay fishermen and traders from Bruneia and you can enjoy fishing by the verandar. Kampung Bukit Kuda lies next to Labuan's largest natural reservoir the Bukit Kuda dam, which supplies the island with most of its fresh drinking water. The surrounding are serene with gorgeous landscaped houses. The people here are friendly and charming. 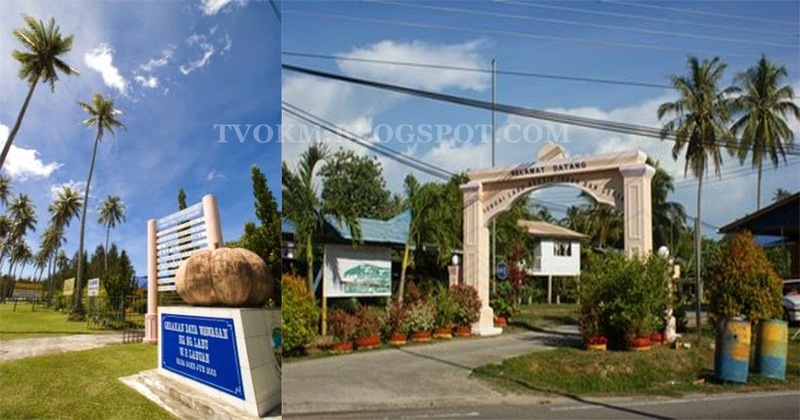 It is a model village that had won the "Excellent Village" award at both Labuan and national level. The village produces the island's very own 'Lidi' noodles and Virgin Coconut Oil. The Labuan International Golf Club is Labuan's newest 18 hole golf course that sits majestically on a hill at Kiamsam overlooking the South China Sea. It covers an area of 80,98 hectares and measures 7,00 meter long and 35 meters wide. Facilities include prayer room, changing room, club house and training area. The course is ready in early 2013 ago. Lawn Bowls is a sport in which the objective is to roll biased balls so that they stop close to a smaller ball called a "jack" or "kitty". It is played on a pitch which may be flat or convex or uneven. It is usually played outdoors although there are some indoor venues and the surface is either natural grass, cotula or artificial turf. Labuan Public Marina, located adjacent to Billion Waterfront Hotel, is specifically built to cater to the international yachting community. It is also an official Borneo International Yachting Challenge (BIYC) which was held in 2009 and 2010. The friendly employee will assist with the berthing if alerted by VHF prior to arrival. The Labuan International Sea Sports Complex is an exhilarating venue for watersports aficionados. Annual competitions durign the Malaysia Water Festival (Fishing Carnival): Labuan International Sea Challenge (LISC) include the Cross Channel Swimming Challenge, Kayak Sprint, Labuan International Fishing Tournament, Round Island Kayak Challenge and Tug of War. Visitors can expect lots of fun in the sun during the carnival which is held in conjunction with the event.